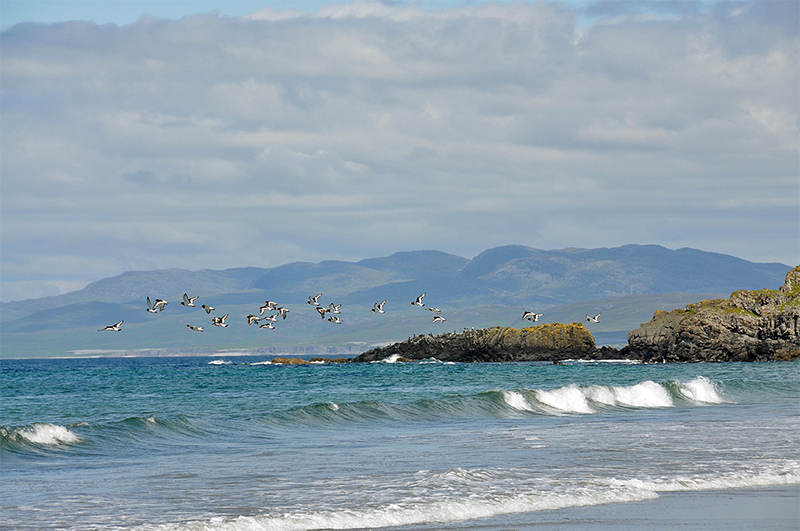 There were quite a few Oystercatchers at Bàgh an Dà Dhoruis, here some of them can be seen in flight at the eastern end of the bay. Jura visible in the background. This entry was posted in Beaches, Cloudy Weather, Landscape, New Post, Sunny Weather, Wildlife and tagged Bagh an Da Dhoruis, Islay, Jura, Oystercatcher by Armin Grewe. Bookmark the permalink.